I like your comb ladders, good idea. Re the sniffing out sugar thing, I haven’t known bees do this before. They definitely can’t sniff out sugar syrup. The smell of flowers and sugar is quite different – I don’t think sugar has enough of a scent for them to be drawn to it. You’d be better off leaving a trail of sugar or sugar syrup which they can follow. 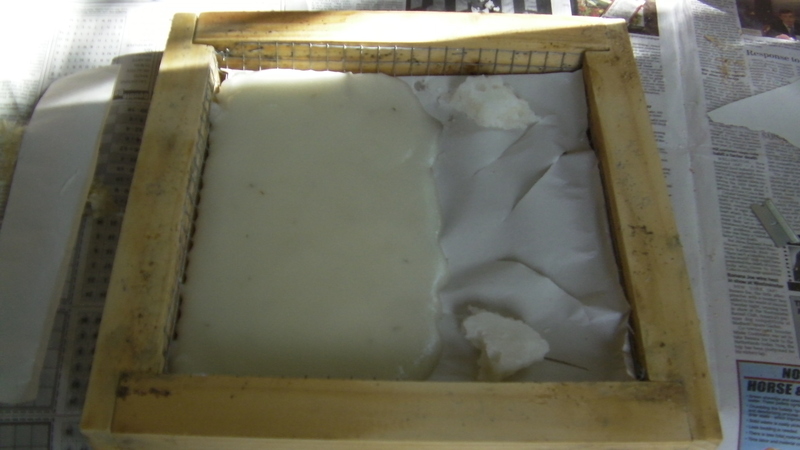 I’ll explain my possibly flawed thinking about the ‘sniffing out the sugar thing.’ The bees got to the sugar right away (within minutes) when I placed it over their brood chamber box, and I even had a sheet of newsprint under the paddy. 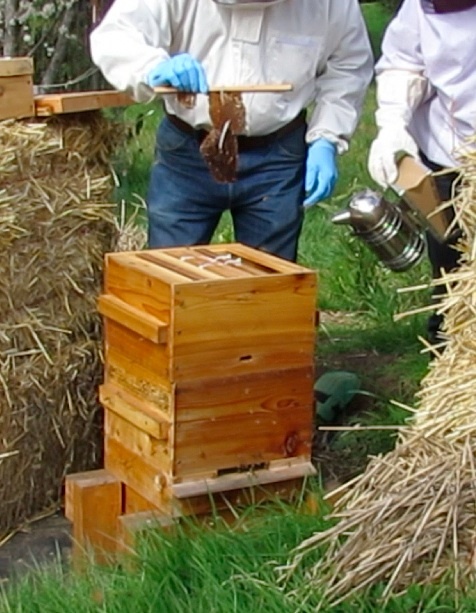 Also a recent conversation with the owner of a Mexican restaurant seeing my new log hive under construction talked about his childhood bee experience in Mexico. He told me when I get the log ready for a swarm to move in, to spray the inside with sugar water. That’ll attract the bees. Of course I’m going to use LGO as well. Excellent post! I forwarded it to my husband who is the beekeeper in the family. This has definitely been a long, drawn-out winter and I’ve seen the bees flying several days this month when the temps got over about 48 degrees. We haven’t had much of a winter here. With the exception of a few weeks here and there of windy rain, the bees have been flying regularly. Since this is my first successful (knock on wood) winter of having bees, I thought I wouldn’t see them til April or so, but they’ve been bringing in gobs of pollen. 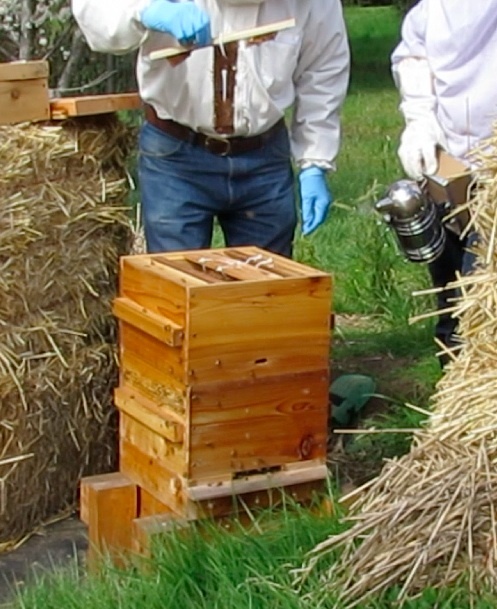 Yesterday evening while I was cropping the grass in front of my log hive, on my hands and knees, hoping they wouldn’t decide I was a threat, I could actually smell the inside of the hive…smelled like honey…and hear the very audible hum of bee activity. So what is honey doing in the hive at this time of year, when the bees have been flying so much, probably using up their honey stores? So much to learn. Glad your ladders worked, Pat. I’m wondering if I should leave my Warre alone, top box built out but bottom box still void of comb, and just cross my fingers. Or should I reverse the boxes and bait the top with ladders like you did. I have 2-3 weeks to think on it. (I hope.) If they look like they might swarm, I’ll be reversing boxes, and the first thing I’ll need to do is get the cheesewire out. 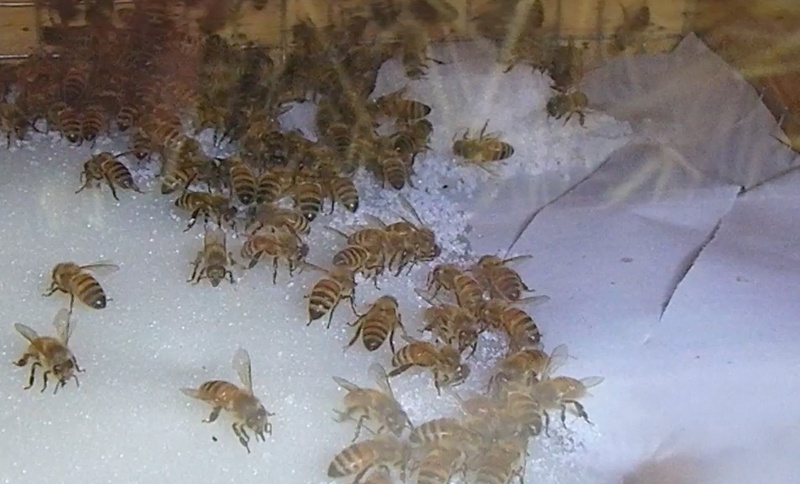 My bees attached their combs to topbars below as well. Naughty bees. I wouldn’t want to hazard a guess, DB. 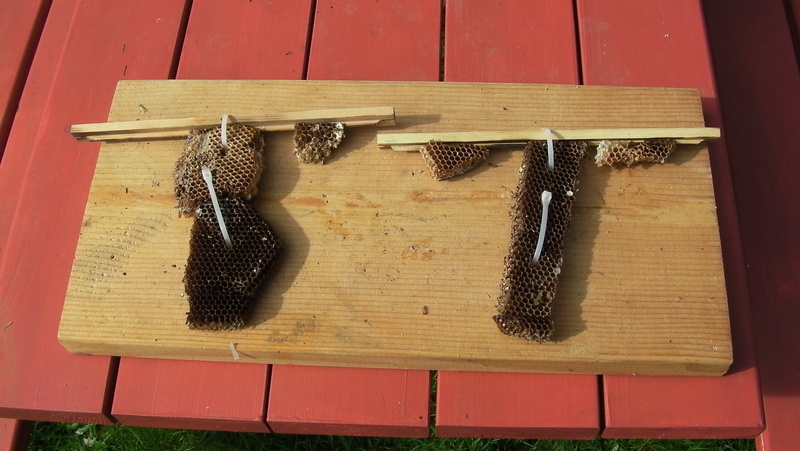 My bees never did build down from the brood box, so I removed it. 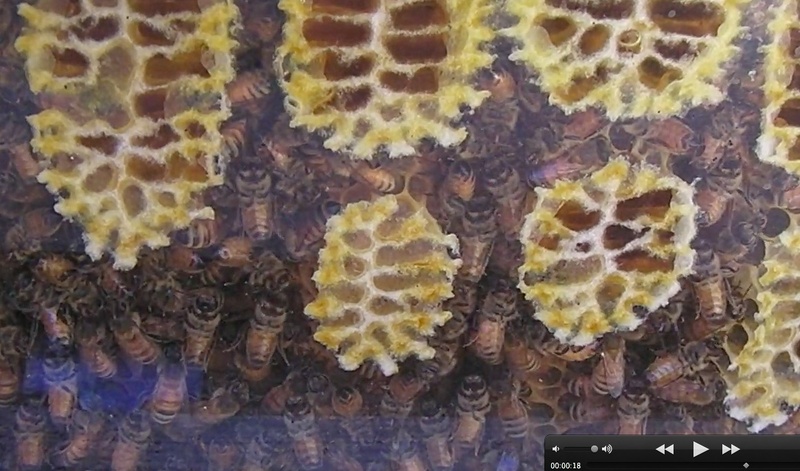 Now they are building up…weird, but someone mentioned the bees don’t like an empty space above them. Do you have a hive lift? I saw an easy one to build using a cheap Harbor freight trailer lift. 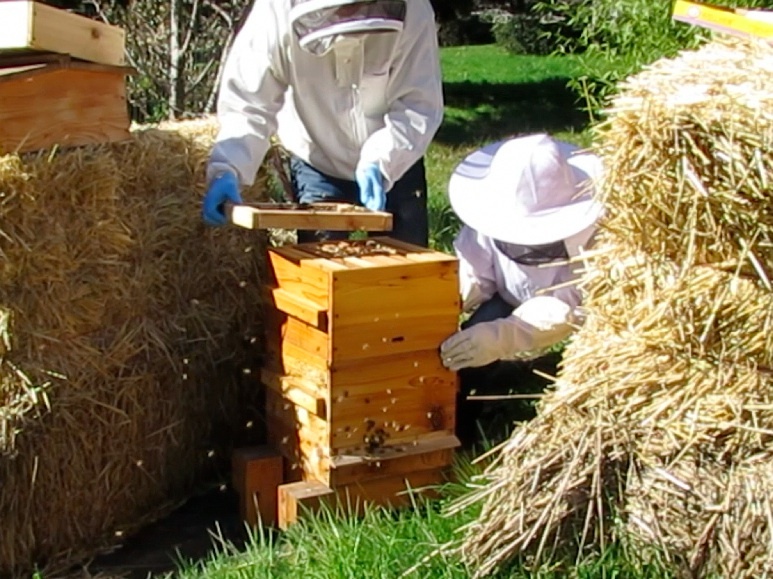 http://www.beesource.com/forums/showthread.php?273388-Warre-hive-lift-design-light-compact-cheap-and-easy-to-build I’m going to build it so I can lift up the box just a bit and use the ‘cheese wire’ to see-saw back and forth to separate the comb between boxes.